This post is a response to Chris Leach’s invitation to write 500 words about Rethinking the ICT curriculum. Others including Miles Berry and @grumbledook have also blogged their thoughts. Writing about my thoughts for changing ICT is a difficult process. On one hand I think that there isn’t much to change, after all we can teach ‘anything we like’ at the moment. I’ve taught children to make greenscreen videos, we’ve discussed and used Twitter in the classroom, we’ve Skype-d with Santa and we make our own games and we haven’t been chastised for this. We weren’t really following the National Curriculum, but all of those things we’ve done can be linked if you try hard enough. On the other hand, we need to do something about the schools who ‘do Office’. I’ve written before about changing my ICT curriculum and to be honest, all of it can be covered under the current National Curriculum and all of it can still be used under whatever new curriculum comes out. I just looked at what I would want my learners to have. I want them to know that there are a range of tools out there that do the same job, or different jobs or a bit of a mixture. I try to include ‘new’ stuff like blogging as well as traditional stuff like ‘being able to do a presentation’. But when we present we work on how to present and not just how to add animation and effects. It’s all very subtle changes but that’s what will work. My planning is slowly moving on to www.ictplanning.co.uk – I don’t think it’s groundbreaking, but it might help someone. I don’t buy into this current craze of wanting a huge emphasis on coding and programming in the curriculum. Yes it should be included, but it shouldn’t be the main driver. Children today want instant results and the thought of spending hours writing lines of code before seeing an end product would bore many of them, and their teachers. We use 2Do It Yourself which is a fabulous way of including game design with a bit of coding as it gives the children a graphical view of their game instantly. They can design it, try it our and refine it as they need to. For us, this is the building block before they move on to Scratch and Kodu. Another problem is the staff. Teachers are worried that they need to know how everything works before the children can use it. How many teachers in a normal school would want to learn programming to then pass it on to the children? Now in an ideal world the teachers would be happy not knowing how something worked and giving the children the chance to explore and learn for themselves, but we all know that this doesn’t happen. One day maybe, but we’re not there yet. Also, people often say “my 3year old can use my ipad, but at school he won’t be near a computer til he’s 6” or whatever are missing the point. Yes your children can use a device, but in school we often just have PCs. Until schools have a range of devices to allow children a chance to explore different things, we will be ‘stuck’ with using PCs. And why don’t we have a range of devices? Often it is money. However I know a school that has bought a whole set of ipod touches but isn’t letting the staff or children use them yet until the staff are trained. Again it comes back to staff confidence which the more I think about it, the more I think that it could be the biggest issue. How do we get our staff confident and comfortable trying new things? How do we get them willing to let the children potentially fail first, and then succeed later? In this time of change and uncertainty, I don’t worry about schools with people like me, leading the ICT and finding out about new ideas. I worry about schools like the one I visited last week. They had very recently had an ICT inspection from Ofsted who has graded them good with outstanding features for ICT yet when I spoke to the children about ICT they said we ‘do Word, PowerPoint, Excel and sometimes if we’re good, drawing’. Those are the schools that we need to support and focus on. They need to be shown the light and shown the way forward. I don’t know. Answers on a postcard…oh wait, stamps have gone up in price, just comment below. It’ll be free. Agreed. Coding is not the total answer. Great points and as I remember, when ever there is a government change the curriculum changes. This makes very interesting reading Ian. I too have had concerns that coding will become the be all and end all with a new curriculum, because for some weird reason the government can’t see the whole picture. Our school are trying hard to use aspects of the old ICT scheme of work across the whole of the curriculum, but it is a bit of an uphill struggle due to lack of support from older teachers and lack of confidence in some of the younger ones. Our school decided last year to remove me from my higher level teaching assistant role and give me the opportunity to be the school’s ICT technican with some responsibility in improving the integration of ICT across the curriculum alongside our enthusiastic ICT Coordinator. Some crosscurricular examples inour school range from the Y6 pupils using stop frame animation software andwebcams to film their versions of Shakespeare plays they were studying for their school production, while Y3 pupils used the same tools to produce animations of the Rama and Sita story for Hinduism in RE and Myths and Legends in Literacy. KS 2 Students use the program Kahootz for putting together settings and characters to inspire story writing. Beebots in EYs and KS1 and Roamers KS 1 and 2, are used to teach coordinates in maths and navigating maps in geography. Of course the Office programme get used: Publisher for designing Tudor Newspapers, Graphical modelling in Word (yes, Word 2010 does this really well) with Y5 students creating maps of the island in Michael Morpergo’s Kensuke’s Kingdom; Excel is linked to data handling and working out exactly how many presents the lady’s “true love” gave to her at Christmas! We use Podium podcasting software and opensource Audacity for recording children to read out loud, as well hot seating interviews with storybook and historical characters (I personally have been interviewed as Granny Island and Katie Morag’s Tiresome Ted for PSHE lessons, Florence Nightingale for History and The Gruffalo in literacy – any excuse to dress up)! We had year 5 and year 1 children collaborating to create instructions on how to make a giant jam sandwich, taking photos with digital cameras of each step and using Photostory to put these images to either a verbal soundtrack or a typed one. We play phonics games, use Mathletics and access Purple Mash with its fabulous and growing library of resources and activities, all of which are accessed easily through our Fronter based VLE. And like a lot of primary schools, this year we have started blogging with our children, to help improve their writing. All of this is done using laptops or the desktop pcs in our ICT suite, we have not yet gone down the route of the handheld mobile devices. We are thinking about it but have not yet found the money to do so. 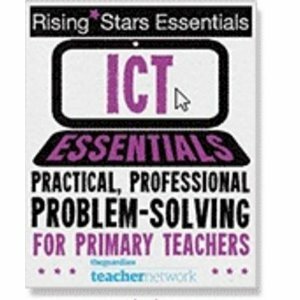 I am in my second year as the ICT technican, a luxury in a primary school and one that has meant I am able to enable and assist staff without the confidence to use these tools to become more confident themselves. They also have confidence the hardware will work so are more likely to get out the latops to enhance their maths or science lesson. I will team teach with them when they need and want to try something new. We feel it is important for a school to have an ICT team (ours is made up of the ICT Coord, 3 other IT enthused teachers, myself and the other HLTA who teaches ICT) which is how it works in our school. It is too big an area of learning for just one person to manage, which is probably why many schools don’t get past just using Offfice based software in their lessons. Our school still has a long way to go though but we are plugging away and improving all the time. I believe there is room for both ICT and Computer science at secondary level and it is all about choice. Young people still need the basic skills but secondary schools need to realise that their students probably already have used the Office apps quite extensively at primary level, defiantly had a go at a presentation and more than likely designed a Webpage or two, all before they start year 7. Apologies this is something of a soapbox of mine, both my teenage children were disengaged with ICT at high school, and as my hubby started life as a software programmer himself before becoming a systems manager for an international company, you can imagine this was a bit disappointing to see. I am not sure if this will be helpfull to anyone but it felt good to get it off my chest. I totally agree with your comments Ian and think with events like the kids meet today we are moving in the right direction! I have so many new ideas to take back to the staff that I am so excited about. My concern is, exactly as you discussed, that the other staff will not buy into it all, mainly through fear of the unknown and worries about parent concerns, but I will try and fight through!!! Thanks for all your help and ideas!